Shelby Tube Permeameter - Gilson Co.
HM-81 Shelby Tube Permeameter is used for testing permeability of undisturbed soil samples in 3in (76mm) diameter Shelby tubes, up to 6in (152mm) in length. 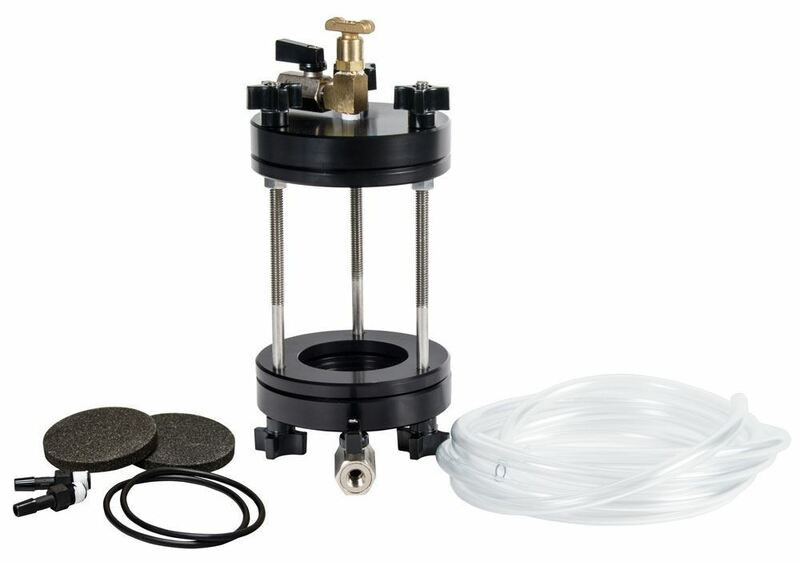 The permeameter is constructed of rugged corrosion-resistant components, and is equipped with top and bottom plates, valves, two stainless steel screens, and three threaded tie rods with tilt nuts that allow repositioning. The inside of the top plate is concave to aid in de-airing. 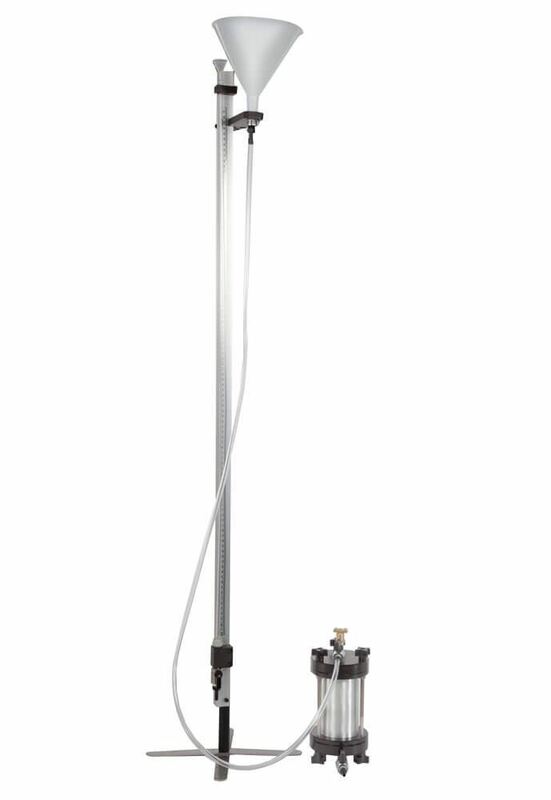 Two Porous Stones and two O-Rings are also included, as well as 20ft of 1/4in (6mm) ID clear tubing. 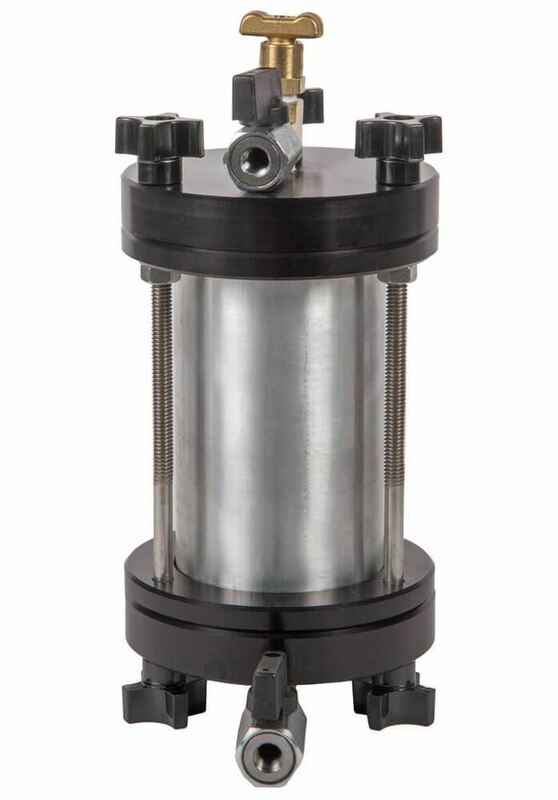 The required HMA-840 Single Tube Manometer measures head pressure during permeability testing and is available separately. Filter Paper for Shelby Tube, also sold separately, is used to keep fines from blinding porous stones.